The chief strategy for influencing teen behavior is to reach teens through their peers. Peer-to-peer social marketing campaigns are a core component of DMTD programming. That is where you come in! 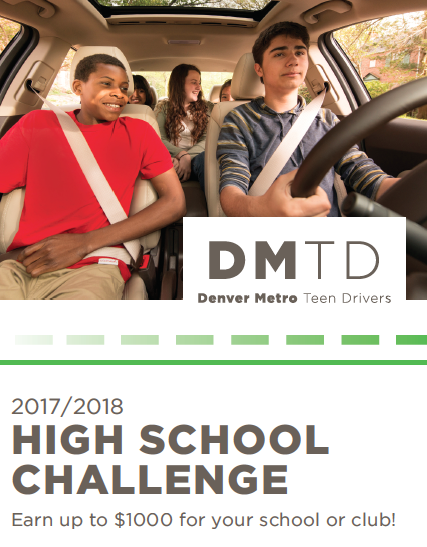 We have designed a program (see the link: DMTD HS Challenge) that guides you in embedding teen driver safety messages in your school and incentivizes you with cash to do it! Ideally, these efforts should be run by teens themselves. Past experience has shown that this is best achieved in a school-based club or group, such as FCCLA, HOSA, DECA, Student Council, athletic team, or another leadership group. Contact Rob Vandyke and we can send someone out to your chapter me to one meeting to pitch the program to your students.